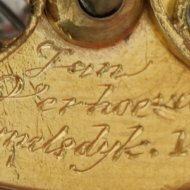 SOLD Jan Verhoeven was probably also working in Dordrecht. 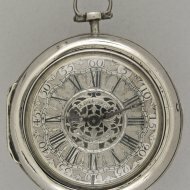 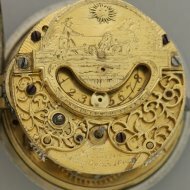 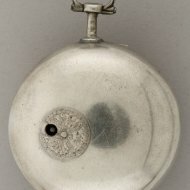 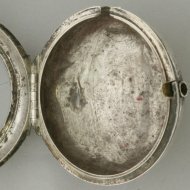 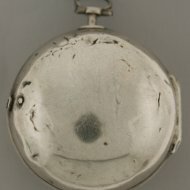 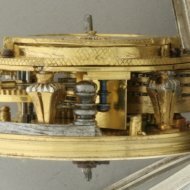 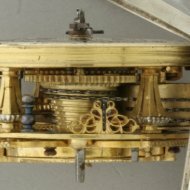 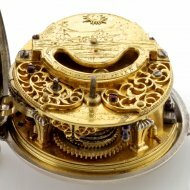 This silver watch has a typical dutch mork pendulum with inscription: 'Godt geeft u segen' (God blesses you), No hallmarks. 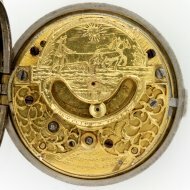 Outer case diameter 60mm.